Let me introduce myself, I am Chris, the Membership Secretary. If you are interested in joining the club and would like to have a look around, or if you are thinking that you would like to give sailing a go, then contact me and let's see what we can arrange. Email me at: memberships@utsc.org.uk. If you are keen sailor or would like to take it up, then a sailing membership is for you. If you'd like to be involved, but rather see sailing as a spectator sport social membership is the answer. There are single sailing memberships that include a non-sailing partner and for those who both wish to sail there are joint sailing memberships. You can add a family pack to a sailing membership to include all children up to the age of 25. Also available is a Young Adult membership for those aged between 16 - 25. 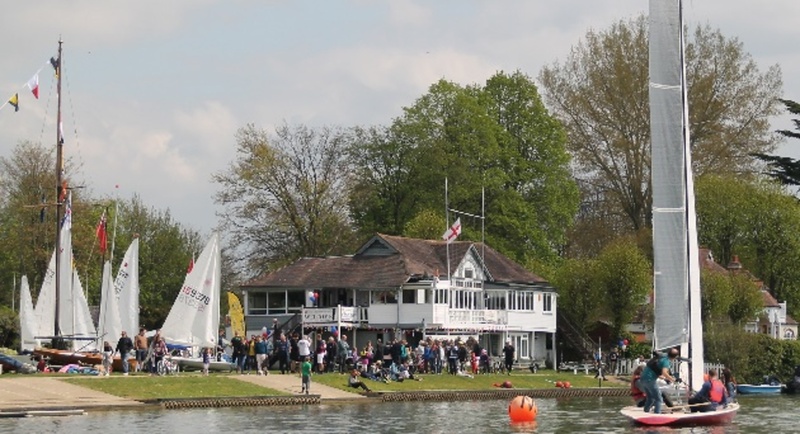 We are a volunteer club, which means giving of your time to help with such things as serving behind the bar, helping to run a race, or supporting the helm of a safety boat. There will always be someone with experience to show you the ropes. Spring and autumn working parties to help maintain the club's property are part of club life, and great social occasions too. Food is available whenever there is sailing and we hold regular evening social events as well, and we have a well-stocked bar! As part of the application process we would spend a little time with you discussing your expectations and needs from the club, as well as showing you round, to make sure that UTSC is the right club for you. Once your membership has been approved, you will be invited to the next New Members' Welcome. This is your opportunity to meet other members, find out about how the club works, see what opportunities there are for sail training and developing safety boat skills. It is aimed at getting you settled in quickly to make sure you benefit from all the club has to offer.